90 Day Fiance: Before the 90 Days star Nicole Nafziger went public on social media about her weight struggle. 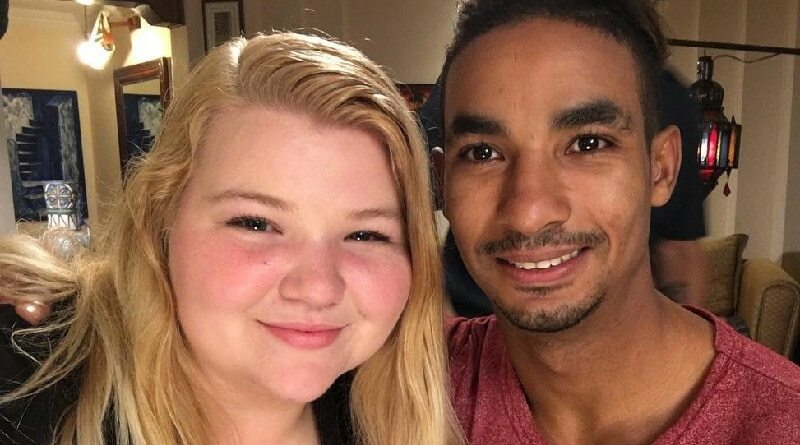 She showed 90 Day Fiance that she weighted almost 300 pounds but is dropping weight fast and fiance Azan Tefou is thrilled. Nicole said she won’t let body shamers get in the way. The 21-year-old TLC reality star made it very clear that she is not having any of those mean comments being thrown at her by internet trolls. Earlier this week, the young mother took to Instagram to prove that she’s dead serious about losing weight. Nicole, who has been very vocal about her weight loss journey, fires back at haters who keep on body shaming her online. She also shared her progress and what Azan thinks about her shedding some lbs. Looks like Nicole Nafziger has had enough of fat shaming online trolls and is ready to prove them wrong. The 90 Day Fiance: Before the 90 Days star did not hold back in calling out those who think her weight loss is a fraud. In an Instagram post, Nicole posted what appears to be a private message from one user bluntly criticizing her new diet regime. The outspoken body shamer mocks the 90 Day Fiance cast member and accuses her of being a “fraud” for pretending to lose weight. “You are [a] fraud. Stop. There is no way you are exercising and eating this s*** and still be a big girl,” the online bully messaged Nicole. 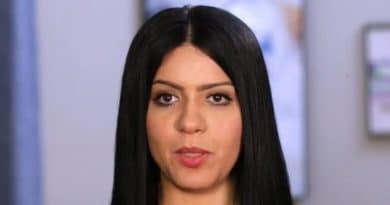 The 90 Day Fiance star, who is very vocal about her determination to shed weight, claims she is now one step closer to finally achieving her goals. Earlier this week, Nicole Nafziger shared a photo of herself wearing a red floral dress. In the post, the reality star seemingly shows off her weight loss progress. However, not everyone is appreciative of her post and implies that nothing really changed in her body. In fact, one user bluntly called out her out for allegedly pretending to have lost a few pounds. The 90 Day Fiance alum fires back and reiterates that losing weight is not an overnight thing. “I am still fat. I’m still overweight. But I’m on my journey to getting healthier and that’s what counts to me,” Nicole responded. In another comment, Nicole made it clear that she’s not forcing everyone to believe in her progress. She also revealed that the photo in question was taken last week and that she has lost a few pounds since then. “If you don’t see the difference it’s fine… I felt beautiful in the picture, why not post it?” the 90 Day Fiance star wrote. Nicole proudly shared a photo showing that she already shed 14 pounds in 18 days to prove her fitness program is effective. The reality star seems to be really satisfied with the results and becomes more motivated to continue what she’s doing. Nicole shared that her nightmare was “to one day go over 300 lbs. I never wanted to hit that number. 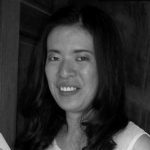 My highest weight went up to 296.” Seeing her scale tip so close to that number was the trigger it took to get her to start getting in shape. Fiance Azan Tefou is all about her getting healthier. While defending her weight loss progress, Nicole also defended fiance Azan Tefou. The reality star and her fiance have been together ever since their stint in 90 Day Fiance in 2016. Despite wedding talk, Azan postponed the wedding twice and shows no sign of pushing through with it any time soon. Things got even more complicated for the 90 Day Fiance pair after Nicole gave almost all her savings to Azan to help start a beauty shop business. To date, however, Azan hasn’t opened a beauty shop or any other business. These intensify speculations that the 23-year-old Moroccan is only using Nicole for her money and has no plans to actually get married. Even the Nafziger family feels like there’s something fishy going on and even expressed their suspicions publicly. Despite all that, the 90 Day Fiance star stands by her man, defending him from critics. Recently, Nicole hit back at people trash talking her relationship. “Unfortunately for you, you’ll be disappointed. We’re still together and strong. Guess he is the one for me,” Nicole commented. So far, Nicole and Azan have yet to finalize their wedding plans. The couple continues to be in a long-distance relationship as well. However, they seem loving and involved in each other’s lives on social media. So there’s more to come from the 90 Day Fiance: Before the 90 Days sweethearts. For more news and updates on Nicole Nafziger, Azan Tefou, and 90 Day Fiance spoilers, be sure to check back with Soap Dirt! ← ‘General Hospital’ Spoilers – Daisy Recruits Oscar And Kristina For Cult? ’90 Day Fiance’: Danielle Jbali Beats Internet Trolls – Won’t Be Evicted!